His full name was Gaius Julius Caesar. Caesar was born in the year 100 BC. His father was also named Gaius Julius Caesar, and his mother was called Aurelia Cotta. Very little is known of Caesar’s childhood. Julius Caesar was a brilliant military general. He successfully conquered Gaul (France) and he twice invaded Britain (in 55 BC and 54 BC). Caesar formed and alliance with Pompey and Crassus, gaining support from the public in opposition to the Roman Senate. Cato the Younger and Cicero opposed them. 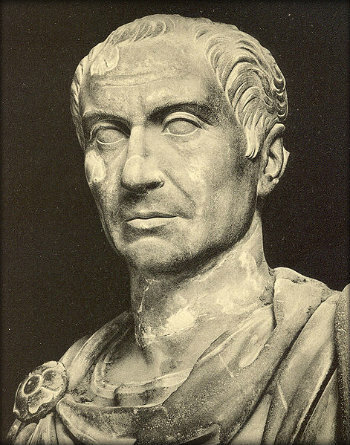 Following the death of Crassus, Pompey moved away from Caesar and supported the Senate. Julius Caesar was ordered by the Senate to give up control of the military. Caesar disobeyed the order and crossed the Rubicon river with his army. A civil war took place and Julius Caesar gained control of Rome. He was married three times. His first marriage was to Cornelia Cinnilla from 83 BC until she died while giving birth in either 69 or 68 BC. Then, in 67 BC, he got married to Pompeia, whom he divorced 6 years later, in 61 BCE. He got married for the third time, to Calpurnia Pisonis in 59 BC, and remained married to her until his death. Julius Caesar is known to have been involved with three other women in his lifetime. The first was Cleopatra, Queen of Egypt, with whom he had a son called Caesarion. Cleopatra and Julius Caesar could not ever get married because she was Egyptian, and he was Roman, and under Roman law, only Roman citizens could get married to each other. Then, he was also involved with Servilla Caepiones, who just happened to be the mother of Brutus, one of the people who would assassinate him later on in life. The third woman that he had an affair with was the queen of Mauritania. Caesar was a brilliant speaker and he was prolific writer. 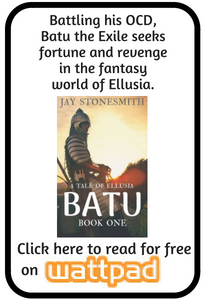 Only his writings on his military conquests survive today, but he also wrote different forms, including poetry. Caesar had enormous political power. As dictator he could veto the Senate, he controlled the armies of Rome and he was the first Roman to be officially deified (given the status of a god). Julius Caesar’s face was depicted on Roman coins. Caesar introduced the Julian calendar. In 44 BC Caesar was assassinated by a large group of Roman Senators. He was apparently stabbed more than 20 times. Following his death, Caesar’s loyal supporter, Mark Anthony and Caesar’s named heir, Octavian (later Augustus Caesar) successfully fought a series of civil wars. Augustus Caesar became Rome’s first Emperor, ruling from 27 BC to 14 AD. The Roman Republic had become the Roman Empire. In a traditional pack of playing cards the King of Diamonds is meant to represent Julius Caesar. A William Shakespeare play The Tragedy of Julius Caesar focuses on the assassination of Julius Caesar and the events that followed his death. What next? Find out more about the Roman invasion of Britain, or take a look at the Primary Facts page of Roman resources. Thanks for letting us know, Hannah Lee. I’m really glad we were able to help with your history test. I used this for my research paper! THX!!! This really helps with my History homework, thanks. Thanks alot this really helped with my history homework!!! Thank u so much. It helped me a lot in doing my English assingment. this website helped me get 100 on my english homework. Thnx to whoever put it up!!! This website helped me with my s.s. home work. I loved learning about Julius Caesar! This website helped me a lot on my essay! Thanks guys! I got a lot of info for my project. This is great…It helped me with my homework… Can you please make more. Thanks, this helped me get my homework done, I hope you make more of these with other historical characters. Thanks so much! This really helped me with my History project.! This is an awesome website all the other websites looked so complicated but this is just awesome for my hw to search jc up. Wow these facts are really going to help me with my essay. Thanks.